Pineapples are renowned tropical fruits. It is a lesser known fact that pineapple is the second most favorite tropical fruit. It is the most versatile fruit as they can be cooked, eaten raw, added to other fruits or used for making juices. It also has its uses for arts, as the preserved leaves of pineapple are used for making various kinds of arts. Also, if you observe, pineapple these days are used as the topping of pizza. Fresh pineapple is rich in enzymes, vitamins, and minerals that are very much required for the overall development of health. The pineapple juice has been proven to be beneficial for your health. It helps in curing constipation, fertility issues, sinus, and others among many of its other benefits. Pineapples are easy to digest. Hence, they are known to prevent the risk of bloating or gas. It is also rich in fiber, and that ensures proper digestion. Due to the presence of the enzyme, bromelain, digestion becomes very easy as it aids in the process of protein breakdown. Pineapple juice also ensures easy neutralization of foods. Protein is broken down into simpler substances by Bromelain hence promoting digestion at a faster pace. Pancreatic secretion is continuously regulated by the consumption of pineapple juice which further helps in improving digestion. Pineapple juice is known to reduce gut inflammation thus preventing diarrhea. It also aids in digestion after consumption of heavy meals like that of steak. 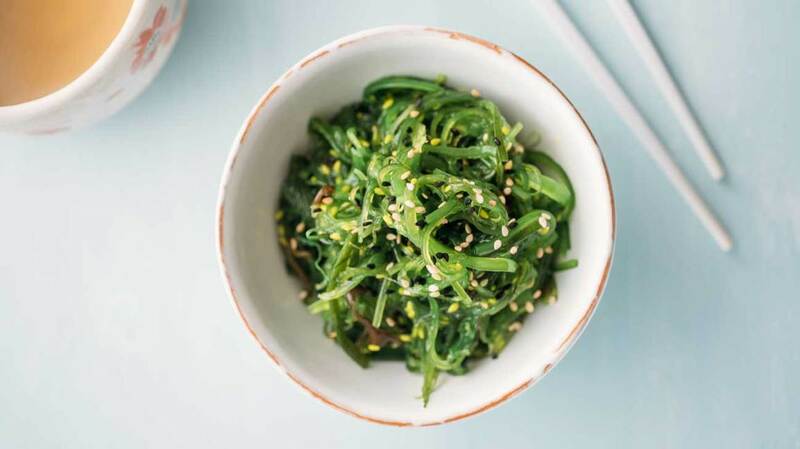 It is a strong belief that only calcium helps in improving the bone health, but it should also be brought into knowledge that manganese has an equal contribution towards building up healthy bones. A glass of pineapple juice provides about 73 percent of manganese for the body. It strengthens the bones that help in keeping many bone issues seen during old age at bay. It further helps in the development of a healthy bone structure and frame during your adolescent years. One of the best benefits of pineapple Juice is that it is rich in Vitamin C which aids in solving all the gum related problems and helps in maintaining the proper health of the teeth. It restricts bacteria that promote plaque building. This reduction of bacteria aids in the reduction of periodontal diseases and gingivitis. The vitamin C content of pineapple juices promotes strong teeth. Also, it prevents the foul smell and bad breath. Dentists also recommend drinking pineapple juice for it is so healthier for gum and teeth. It reduces the risk of any other problems related to teeth or gum. The Vitamin C content of pineapple juice also helps in reducing gum related problems. Vitamin C is known to be helpful in healing and repairing the connective tissue which is a major component that maintains your oral health. Healthy gums are a major essential to be maintained for healthy oral hygiene, and its absence can lead to many serious issues related to oral health. Pineapple juice is very much recommended for people suffering from hypertension. It helps in regulating the blood sugar level of the body. The high potassium content helps in reducing the high blood pressure and also lowers the level of sodium in the body. Combating sodium with potassium is an ideal solution for dealing with hypertension. One cup of pineapple juice contains about 1 milligram of sodium and 195 milligrams of potassium. Pineapple is considered among those fruits which have the lowest sodium content. Pineapple juice is highly recommended to people suffering from hypertension. Taking pineapple juice regularly can help fight hypertension more prominently. Pineapple is rich in the same anti-oxidant content which is found in carrots that helps in maintaining the vision. It promotes healthy vision and also prevents age-related macular degeneration. Pineapple is rich in beta-carotene and Vitamin A that helps to promote a healthy vision. However, consuming pineapple juice regularly can help prevent the risk of vision loss at old age. Also, this presence of rich anti-oxidants in the juice ensures proper eyesight and also helps in solving the problems related to eyesight. As mentioned earlier, pineapple juice helps in maintaining proper health. Also, pineapple juice helps in fighting against cataracts. Vitamin C helps in maintaining the fluid in your eyes which reduces the risk of cataract. Having cataracts in the eye is a condition where the lens becomes foggy and also interferes with vision. Not only does it prevent age-related macular degeneration, but it also protects against cataracts. Pineapple is rich in Vitamin C which is the best-known source of boosting your immune system. The antioxidant content of pineapple juices helps in preventing free radical damage that speeds up aging, harms cells and even leads to various dangerous diseases. If you get into the details of brain functioning, you will realize that vitamin C accumulates in the brain and slowly and gradually helps in the task performance ability of the phagocytes and T-cells which are present in the brain. Vitamin C is needed for various immunity functions which also include your innate abilities that is the immune functionalities you are born with and to get good vitamin C content is essential as your body is incapable of producing this vitamin by itself. Hence the benefits of drinking pineapple juice increase manifold due to its high vitamin C content. Arthritis and joint pain is a common problem especially, for elderly people. Consumption of pineapple juice helps in getting rid of the symptoms of arthritis if taken at an early stage. The health benefits of pineapple juice also include prevention or relief from joint aches and also the pain in muscle is relieved even during old age. The additional benefit of pineapple juice being its richness in the content of anti-inflammatory agents. These work against sprains, strains, tendinitis and other muscular injuries. Also, these components work towards preventing gout inflammation and arthritis-related inflammation. Pineapple juice is very healthy for the heart. It ensures better blood circulation and allows the proper blood flow to the circulatory system. The bromelain content of pineapple juice makes the blood thinner. It reduces the risk of heart diseases, stroke and other diseases related to the heart. The pineapple juice is rich in anti-oxidant content which helps in fighting off the free radicals. Vitamin C also helps in preventing atherosclerosis. Vitamin C is useful for heart health as it acts as an anticoagulant. The essential part is it helps in maintaining the blood pressure level and also manages the cholesterol level of the body. Another benefit of potassium is also very beneficial for the heart that is it prevents clotting of blood which is a major reason in many internal health issues. Pineapple juice acts as the ideal ingredient for weight loss. Pineapple juice is full of nutritional contents and also does not contain any artificial sugar and unhealthy fats. Also, one does not need to consume a lot of food throughout the day because pineapple and pineapple juice consumption provides a feeling of fullness which prevents you from snacking further and thus, controls your weight. Pineapple is low in calorie and has high water content. It thus preserves energy all day long. Just like other fruits, pineapple plays a significant role in promoting weight loss. If closely observed, pineapple promotes in boosting up fertility both in men and women because of its vitamin, mineral and other nutrient contents. However, it is also believed that there are alternative ways too in which pineapple juice affects the sexuality of men and women, but there is no such perfect claim about this. Pineapple also proves beneficial for pregnant women as they help a lot of them in morning sickness. Due to the high vitamin content, nausea and vomiting caused due to morning sickness are reduced. Also, the high vitamin content provides nutrition to the baby. It has a certain content of folate as well which in turn is one of the major nutrients which supports the pregnancy. Just to add a word of caution, if the juice is of an unripe pineapple it may cause diarrhea. Pineapple is known to be a natural diuretic, i.e., a food item that makes you urinate more frequently than others. It helps in detoxifying your body and maintaining healthy kidneys as they are the organs which maintain the excretion of toxins from your body. Health benefits are not just limited to your overall health. Pineapple juice also helps in feminine health by helping women in dealing with painful and uncomfortable periods due to the presence of Bromelain which is known to have analgesic properties. There have been reports which claim that pineapple juice is more effective in the treatment of a cough than the cough syrups themselves by all showing almost 5 times faster recovery. Bromelain melts down mucus making eat easier to be secreted out, and it can also help in the clearing of the nasal passage and thus. Provides relief in Sinusitis. Due to the presence of Beta Carotene pineapple juice is known to lower down the seriousness of asthma, more effectively so in women than men. Similarly, Bromelain is also known to be beneficial in reducing the severity of Asthma. Research work on animals has shown that pineapple juice helps in combating firearm and burnt wounds. The process of healing followed in aiding the tissues to recover is known as Debridement. Bromelain in pineapple is also known to be helpful in the healing and recovery of soft tissues. It also has manganese which helps in the production of Proline from the enzyme Prolidase. Proline which helps in the formation of collagen which in turn heals the wound. 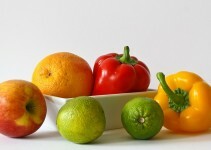 17) Vitamin C helps in clearing acne and maintaining a fair, healthy and beautiful complexion. 18) It helps in the synthesis of collagen which further maintains the firmness of your skin delaying the process of Ageing. 19) A foot treatment enriched with pineapple helps in maintaining supple, smooth skin and reducing flakiness. 20) Brittle or unhealthy nails are caused due to vitamin deficiencies which are present in ample amount in the Pineapple. To use pineapple on your skin, you can simply extract its juice and apply it as it is or mix it with other ingredients like honey and gram flour to make a paste suitable for healthy glowing skin. To scrub your feet, you can take slice pineapple and rub it across your feet for removal of dead and flaky skin. Pineapple is majorly produced in Hawaii, but these are also produced in various other regions across the globe throughout the year like Costa Rica, Brazil and certain regions in the Philippines. Though natively Pineapples were found in parts of Paraguay and Brazil. However, it was Christopher Columbus who introduced them to Spain and the rest of Europe. 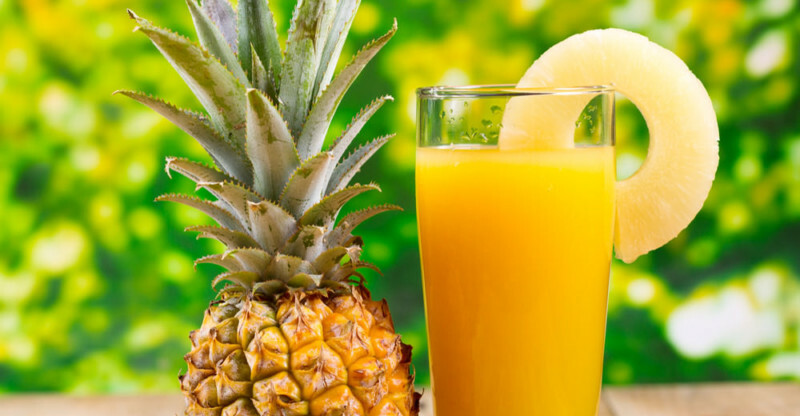 Pineapples are well known for the immense benefits they have on your health, but it is a lesser known fact that the health benefits of Pineapple juice are as much or rather more than the actual fruit itself. So if you love pineapples or its juice or well even pina colada, then you have managed to add the brownie points for your health from this amazing naturally crowned king of the fruits. Pineapple juice and pear juice. Pineapple juice and juiced broccoli. Pineapple juice and juiced cabbage. Pineapple juice and juiced strawberry. Pineapple juice and grapefruit juice. Pineapple juice, apple juice, and juiced kale. Pineapple juice, orange juice, and juiced raspberries. These are just some of the combinations that you can try. Apart from these, there are several other combinations that you can try. It is so because pineapple is sweet fruit and its sweetness well blends with all the other fruits. As it blends with most of the flavors, you can also use them to create your favorite blend too. Another major positive fact is that pineapple juice in itself is very sweet and does not need any artificial or extra sugar to be added. Pineapple juice is very beneficial as already observed in the article. However, it is also necessary to know that regular consumption of fresh pineapple juice can help in curing the intestinal worms. As mentioned above the fresh pineapple juice acts as a natural diuretic, which helps in removing all the toxic substances from the body. It also helps in curing the irregular bowel movements. Pineapple juice is full of vitamin and other nutritional elements. It contains Vitamin C and B complex (pyridoxine, folate, thiamine, and riboflavin). Also, it contains potassium, calcium, phosphorous and manganese. The lower sodium content makes it an ideal substance for hypertension. The vitamin C content helps in preventing cold and cough. Also, the B6 content regulates the metabolic activities of the body. It regulates the blood sugar level. The vitamin A content offers healthy eyesight and radiant skin. It also maintains the healthy mucous membrane. Apart from these, potassium content prevents soreness and also helps in curing muscle cramps. Hence, pineapple juice is not only tasty but also healthy. 1) Consumption of pineapple juice does not provide as much fiber and roughage as raw pineapple itself does. 2) Pineapple is rich in sugar and thus, increases the blood sugar levels which is a serious threat to some people. 3) People on blood thinners can avoid or limit the consumption of Pineapple as bromelain also is a blood thinner and thus, too much thinning of blood can lead to bleeding. 4) As pineapple, if consumed in excess can lead to Diarrhea thus, it is recommended for pregnant women to avoid this fruit. 5) Pineapple can at times interfere with certain medications and their effect on your body. 6) Though pineapple is good for oral health its high acidity can cause sensitivity in teeth and even tooth decay. The article aptly provides you with ample reasons to start your consumption of pineapple and its juice from now on. 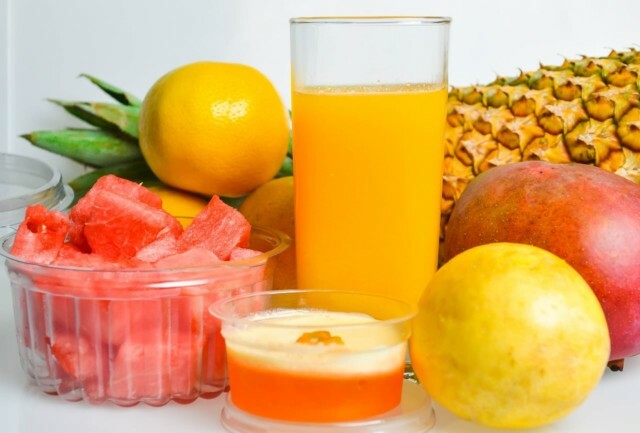 The health benefits of Pineapple juice along are enough for its appreciation and well the foliage crown beheld by this fruit naturally indeed is a gesture by the god itself that this fruit is indeed a king in its genre. Pineapple juice helps you maintain a healthy internal body, a clear soul free of toxins and a beautiful overall persona by enhancing your outer beauty. So, start binging on pineapples even if you were not doing it till now. Pineapple juice may help you reduce the amount of mucus you have. It’s a healthy juice that can improve your immune system.